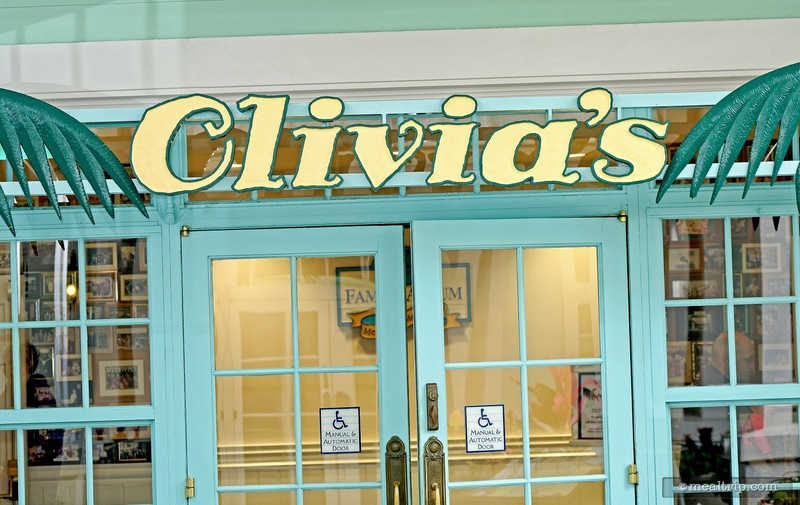 As the story goes, (a few Disney eateries seem to have deep backstories)... “Olivia” lived in a small cottage in the Keys. She would invite passers by who smelled her cooking to come on in and pull up a chair. People loved her vibrant flavors and earthy personality so much, she found herself setting more and more tables. Eventually, Olivia started running the cafe full-time, and it has been a haven for locals and a must-visit for out-of-towners ever since. 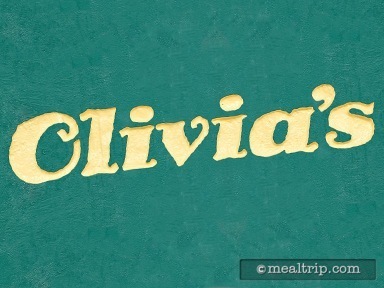 The dinner and lunch menus at Olivia’s are very similar. Most of the sandwich and burger type entrées at lunch, have been replaced with plated meals for dinner. While culinary thrill seekers might consider the very large menu a little ordinary... everything here, is done very well. Good food... is good food. Uniquely themed appetizers like Conch Fritters or Olivia’s own Conch Chowder fit right in with the Florida feel of the menu. The platted entrée selection is well balanced, and not overly heavy on seafood entrées. Guest favorites include the Duval Street Burger, a Plantation Key Pork Chop topped with smoked gouda fondue, and the Seven Mile Sea Scallops with mascarpone polenta, asparagus, prosciutto crisp, and tomato vinaigrette.